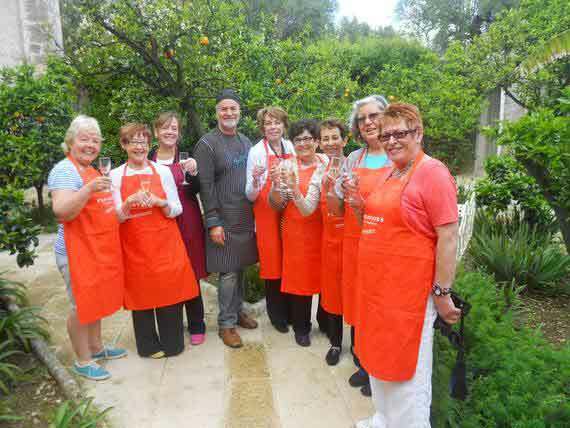 Antonio is our charming cookery holiday chef in Puglia. His lovely and welcoming demeanour has made him one of our guests’ firm favourites. As one of our “oldest” Flavours’ chefs we asked him to tell us more about himself, his region, and what it means to come on a Flavours cooking holiday. Can you tell us a little bit more about yourself? How did you learn to cook? I am a simple person, a little shy, but very determined in the work and in my actions. I have had a strong passion for cooking ever since I was young. I started with making desserts because I’m very greedy… then I started watching my mother cooking a lot. She made delicious recipes from the Salento region in Puglia, and so I learned a lot from her. 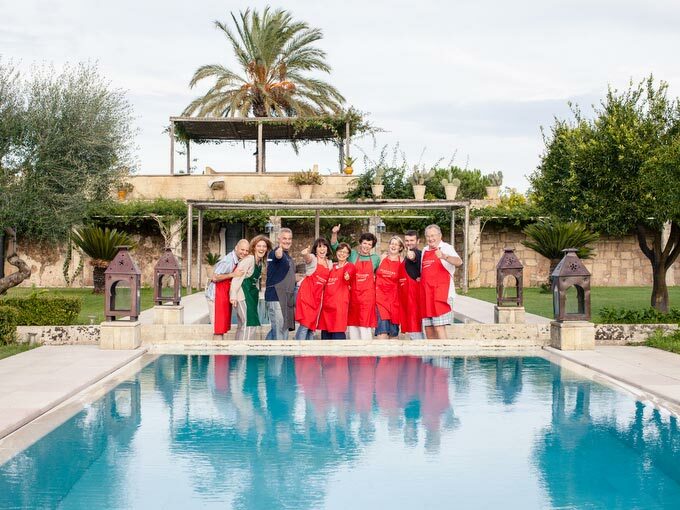 I worked for 10 years in tourism, where I taught guests more about the regional cuisine in Puglia and welcomed tourists to my local area. I then became a qualified chef, attending cooking classes at a cooking school in Otranto, before I opened my own restaurant – a small typical restaurant in Santa Maria di Leuca. What makes a cooking holiday special so special for you? A cookery holiday becomes very special when you stop being too serious and too strict about the ways you think you have to cook, and enjoy it for what it is. It’s a great opportunity to immerse yourself fully in the experience if you are willing to learn new things. For me it’s all about cooking, smiling, and of course drinking a glass of good Prosecco with great people that share the same interest as you. It’s crucial to understand that you are not in school but on a holiday. How would a menu in Puglia differ to the rest of Italy? The traditional food of a region is of course different from the ones of other regions, mostly between the North and the South. 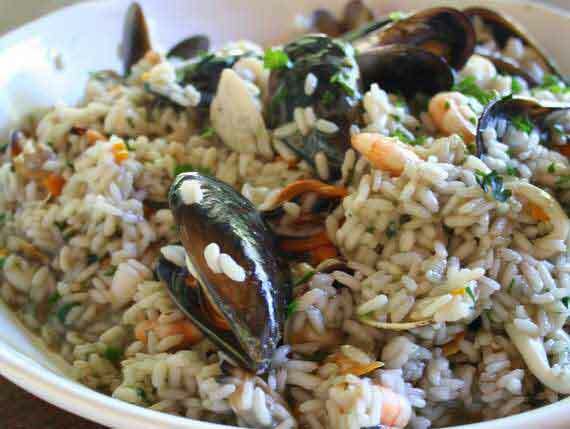 In the South you will often find something in common, such as fresh sea food. I do believe though that it is up to the imagination of the chef to give a personal touch to the regional food. Can you give us any advice for complete beginners in the kitchen? And don’t be too fussy about what a basic recipe tells you to do. Start with a basic recipe, but then make the dish special by personalising it with some original ideas. What do you enjoy most about being a chef on a Flavours cooking holiday? Now, I am the veteran chef of Flavours. I am very dedicated to the company and the holidays, and always show this to the guests with great enthusiasm, accuracy and professionalism. Having worked for many years with Flavours, I was able to meet so many interesting and fun people with different characters and personalities. I think that’s what I find most beautiful about being a chef there: meeting and working with people from other cultures and also learning from them whilst teaching them. I’ve also made true friends through working with Flavours and that’s very rewarding. I have some guests-friends who I have become very close with. And, even after many years, they still prepare my recipes at home and send me photos of their results. 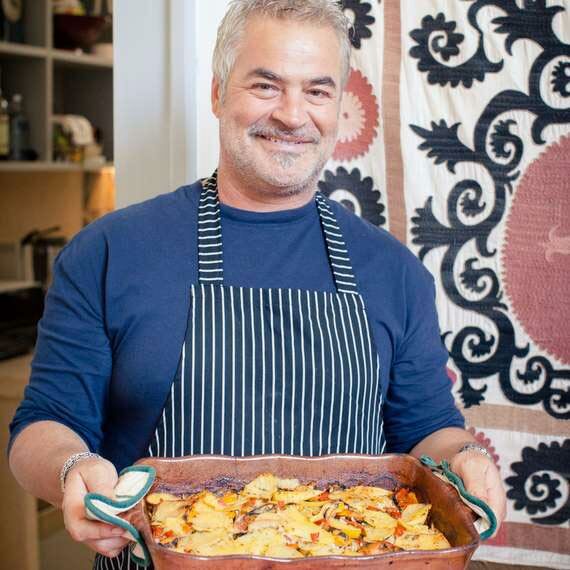 If you would like to create delicious dishes with Antonio on one of our Italian cookery courses in Puglia, then contact our fantastic sales team today or download our brochure!